We all know that keywords and links alone no longer cut it as a holistic SEO strategy. 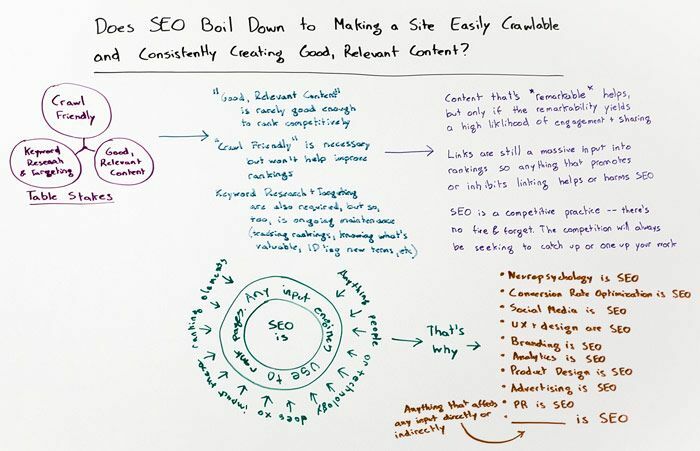 But there's still plenty outside our field who try to "boil SEO down" to a naively simplistic practice - one that isn't representative of what SEOs need to do to succeed. In today's Whiteboard Friday, Rand champions the art and science of SEO and offers insight into how very broad the field really is.